After twelve weeks on the NY Times bestseller list, is there an author who does not quietly, while alone in a padded room, think about taking a book to the coast? Not the Baja Coast. North by more than 200 miles. The coast of Hollywood, the twinkly suburb of Los Angeles, where a movie character's words become an enduring lexicon. The heady experiences of having a runaway bestseller might send you looking for solitude. You might loiter in a dark movie theater and mumble to yourself, My book could be a cinematic classic. That thought (don't tell us you have not thought about it) leads us to examine a phenomenon that occurs where in an odd convergence of timing, funding, and passion for plot — a book's quiet story line becomes a vividly engaging screenplay. Word Smitten looks at publishing's media cousin, the distant cousin who calls when the story tank is empty and new ideas are needed. We were looking in Hollywood for an individual who could stare down the current media realities without blinking. We contacted Peter Dekom. We contacted him even before all the people we spoke with said that he is one of the best examples of how to behave in Hollywood. We contacted him because we know him and know he is the go-to guy. We wanted to ask the question: How does an author cross that book-to-film bridge? But, we discovered another question. Not, How do you produce a film from a book? The better question to ask is How does anything ever get produced — anywhere? For the answer, we talked with this legendary below-the-radar deal maker. Peter Dekom. For more than twenty years, Dekom provided solid guidance to production companies and film czars. Projects with industry experts get completed because Peter Dekom - the business wizard behind the curtain - commands the wires to move quickly and then the curtains part and scripts get read. A talented and well-regarded businessman, who is an advisor to governors, politicians, producers, and film industry czars, Dekom has represented companies that include Spelling Entertainment, The Geffen Company, and Imagine Films Entertainment. His client roster included Barry London, Strauss Zelnick, John Travolta, Shelley Duvall, George Lucas, Ron Howard, and Rob Reiner. For more than twenty years, he was a senior partner with Bloom, Dekom, Hergott and Cook first housed in an elegant Sunset Boulevard office and later on Rodeo Drive in Beverly Hills, California. What about the question, "How does anything ever get produced?" 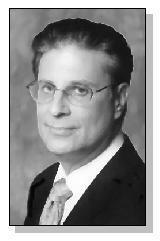 For entertainment executive Lois Scali, who practices entertainment law in Los Angeles, the only answer is Peter Dekom. "I met Peter in 1983, my first year as a law student at UCLA. A few years later, while attending a conference for NAPTE, I watched high-powered executives racing down the hallways." Scali had decided to step away from the windburn. Before she could extract herself from NAPTE's crowd, she felt a tap on her shoulder. "How nice to see you Ms. Scali." It was Dekom. In a whirlwind, he introduced her to key contacts, remembered the names of each individual, from newbie to senior executive, and paved a road for her career. She continues to trust him and to rely on him. Scali represents the talent side of television and motion pictures, as well as the production side. "I was just a second year associate at Irell & Manella, and from that point on, I realized he treats the most junior person with the same respect as senior executives. That has never changed." From that beginning, in 1987, to the present, she has called on him when a deal presented overwhelming difficulties. Ms. Scali's practice has included domestic and international acquisition; distribution and licensing agreements; sales and acquisitions of film, television, and music libraries; talent agreements; strategic alliances; and general intellectual property advice. "Peter orchestrates so many pioneering deals," she adds, "that if I need his advice, it's there. He is generous about sharing his knowledge." What's that Lassie? Our local Santa Fe film production industry is in a deep well, and Timmy's away at college?" Across the country, film production lags. Wildcat production in other countries affects the U.S. film industry, the production of product, and indirectly, the purchase of books for transfer to film. Hollywood still merits the title of film kingdom, yet production facilities are found from Florida to Maine and from Manhattan to even clear-sky Santa Fe. In Santa Fe, as a result of slowing economic forces, and a dwindling interest in film services, an arm of the state's economic development agency put a call out and Peter Dekom answered. To all sources we spoke to for this profile, a rescue of this magnitude (reviving interest in a previously robust local film production industry) falls to only Peter Dekom. When asked to advise the New Mexico State Investment Council on projects to increase film production from $16 million to the previous decade's level of $60 million, Peter Dekom brought extensive knowledge to New Mexico's State Investment Council. "Film production in New Mexico has trailed off," Greg Kulka comments, "from more than $60-70 million to less than $16 million in 2001." In his post as alternative investments portfolio manager, Kulka and the members of New Mexico's State Investment Council wanted to encourage the passage of Senate Bill 280 to revitalize an industry that provides jobs and a future for the area. "Peter was instrumental in putting our policies in place and he assisted us with details." Part of his effectiveness, his ability to walk on water, according to Kulka, is his endurance. "He met with Governor Gary Johnson and worked closely with Senator Shannon Robinson, who introduced the bill to the 2002 legislative session. We ran him around the capitol. That bill passed both houses with only one dissent from each house. Only one." Kulka adds, "Every time I listen to Peter talk in front of an audience, it's amazing. He really engages the audience-he's quite a punster." As a result of the due diligence by Peter Dekom, and a positive vote for Senate Bill 280, New Mexico has revived a conduit for jobs. Kulka summarizes it, "The main idea, projects that would have direct equity participation from vendors, in which the below the line positions would require sixty-percent fulfillment through New Mexico residents, works for us. It works because it's providing for future education channels for us." As an advisor to the state, Kulka comments that Peter gives 100% of his effort, taking the raw ideas from film producers, and giving them a path for their work. When people characterize Peter Dekom, Kulka says, "they say he skips across the water, where most people walk." If you were to ask Peter Dekom about it, he would comment they just aren't looking hard enough for his water skis. Beyond water skis, nothing stops him when a film project is proposed. In his lifetime, he has encountered only one intimidating experience and it had nothing to do with Hollywood. Entertainment attorney Steve Breimer describes the time his mentor and long-time friend met up with a silver-backed gorilla while trekking in Africa. "This mammoth gorilla challenged him, made him stop in his tracks," Steve Breimer recalls. "But while everyone else ran, Peter stared him down." Trekking, a favorite pastime, provides him with tremendous enjoyment, taking the concerns of scripts, financial projections, pending deals, and entertainment personalities out of the mix. No proportion of fear equals standing eye-to-eye with a 500-pound gorilla. 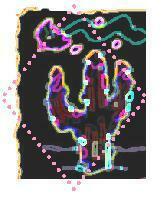 "The guide told everyone to run, but some innate wisdom prevailed and I stood my ground. The babies, small gorillas-and you pronounce it go-ree-yas-are tempting to pick up and hold. They picked at my shoes and hugged at my legs. But the silverback gorilla will kill you. They've been known to throw a man with one hand." Of the incident, Peter quips, "After that, nothing Hollywood does could ever faze me." Q&A on the topic of new media and books-to-film in today's Hollywood. 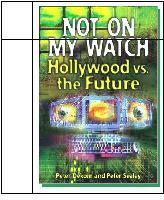 Released this summer, this nonfiction study of all forms of entertainment media by Peter J. Dekom and Peter Sealey, Ph.D., provides a very compelling look at content and the Internet's impact on Hollywood's new media frontier.